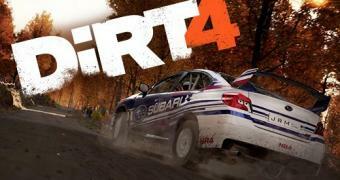 UK-based video games publisher Feral Interactive released today the Linux and macOS port of the acclaimed DiRT 4 rally-themed racing video game. The sixth title in the DiRT series, DiRT 4 is a racing video game developed by Codemasters and released on June 6, 2017, for Microsoft Windows, Xbox One, and PlayStation 4. Now, almost two years later, Feral Interactive ported DiRT 4 to Linux and Mac platforms, being their second DiRT title after DiRT Rally. DiRT 4 features a superb collection of more than 50 powerful off-road cars, including the Subaru WRX STI NR4, Audi Sport Quattro S1 E2, Mitsubishi Lancer Evolution VI, and Ford Fiesta R5, as well as five challenging locations, including Värmland in Sweden, Fitzroy in Australia, Tarragona in Spain, Michigan in the US, and Powys in Wales.